Finding medical office space is different from finding office space for other industries. That’s because the criteria is more extensive and complex. To illustrate our knowledge on the matter, we’ve compiled a brief list of all the variables that make medical office space for rent Westchester County search so difficult, and followed by an explication of why our services can make that search much easier and more effective. At the very least, physicians will utilize x-ray equipment. Beyond that, depending on your practice, you may perform CT scans and any number of other equipment that uses radiation. In the off hours of your medical office, you will need to store that equipment securely in a space that protects the buildings inhabitants from radiation poisoning. This entails extra measures that will surely appear in the your lease. In general, the presence of hazardous equipment and materials are usually grounds for a bump in rates for the lease. Albeit, private practices don’t have emergency rooms, which means patients should be able to schedule appointments during work hours. That being said, people don’t always get sick at the most convenient of times. When possible, we’d all like to avoid the emergency room. This isn’t lost on most physicians, and as a result, many will agree to see their patients during after hours. From a landlord’s perspective, this distinguishes physicians from other tenants in how it reflects on the utility bill. This is also something that you’ll have to negotiate prior to signing the lease. Most landlords, by contract, reserve the right to enter their commercial spaces as they please. They sometimes do so to explore how well the tenants are managing the space. Or, if they suspect that their tenants won’t renew and the lease is nearing its end, they’ll take some time to show the space to other prospective tenants. With medical office space, landlord’s don’t have nearly as much liberty to move about a space for which they are the owner. This is difficult for some property owners to come to terms with. But at the end of the day, patient privacy laws prohibit landlords from entering entering rooms with documents about patients. Additionally, for the protection of all who inhabit the space, landlords also cannot enter areas that hold hazardous or infectious materials. Maneuvering these unfortunate realities with a property owner may be something you’d want to leave to someone with experience in doing so. Depending on the practice, death could be commonplace for some offices. Normally, leases have clauses saying that landlords reserve the right to evict their tenants and penalize them in the event of any injury or death on their property. Needless to say, this is a clause that you will have to modify if you are going to be a tenant with terminally ill patients entering your office on a daily basis. The issues we’ve listed above are only the tip of the iceberg. 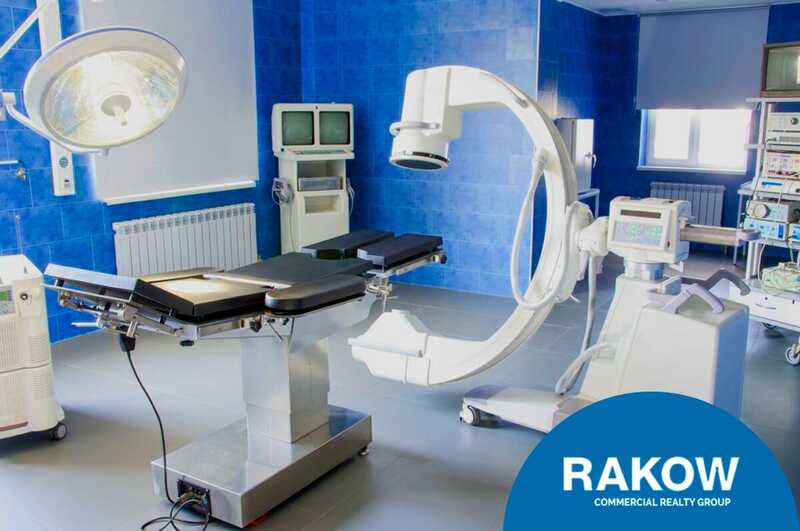 To learn more about the intricacies of medical office space for rent Westchester County services, give Rakow Group a call today at (914) 422-0100.